The United States interstate system provides a great way to cover long distances quickly but, to really see the country, it’s best to slow down and take the back roads. There is no telling what you will find when you do! A few years ago, my husband and I spent a few days hiking the Appalachian Trail in Shenandoah National Park. We wanted to spend part of the drive home on the Blue Ridge Parkway, but had to give up because the fog was so bad. My hubby still didn’t want to get back on the interstate, so we found ourselves wandering the back roads of Virginia. This spur-of-the-moment decision led to the accidental discovery of Foamhenge. 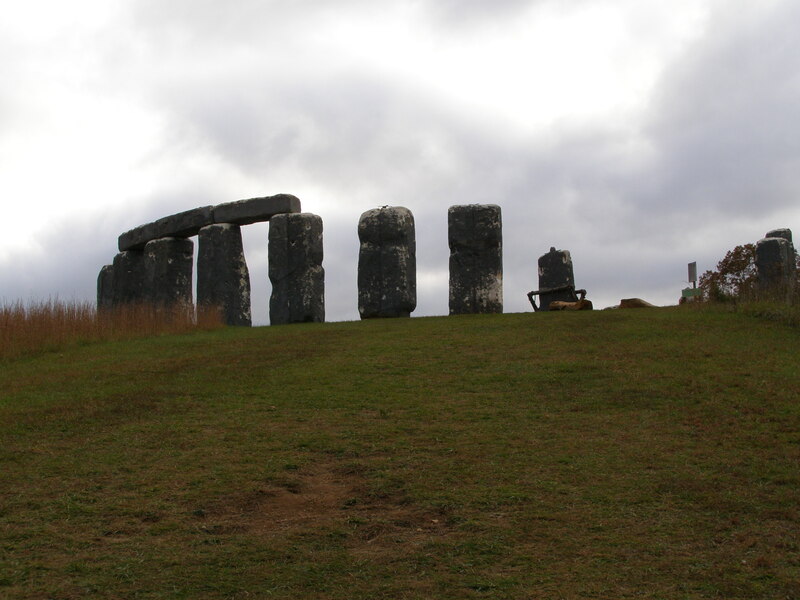 Yes, Foamhenge – a full-size replica of Stonehenge made out of styrofoam and located in Natural Bridge, Virginia. The expressions on the faces of the couple leaving just as we arrived were priceless! They looked rather embarrassed to have been caught there. I must admit, the fact that the face of the Merlin statue was cast from the body of a dead man kind of creeped me out, but otherwise, it was an amusing place to visit. Just think, if we had been on the interstate, we would have never known that such a place existed! Last year, we took a weekend trip to visit some of the filming locations from the AMC television series The Walking Dead. During the course of this trip we stumbled across the one and only Barbie Beach, so named because it is inhabited by (gasp!) naked Barbies. (The random superhero action figure occasionally makes an appearance as well.) Seriously folks, I’m a fiction writer and I just can’t make this stuff up! 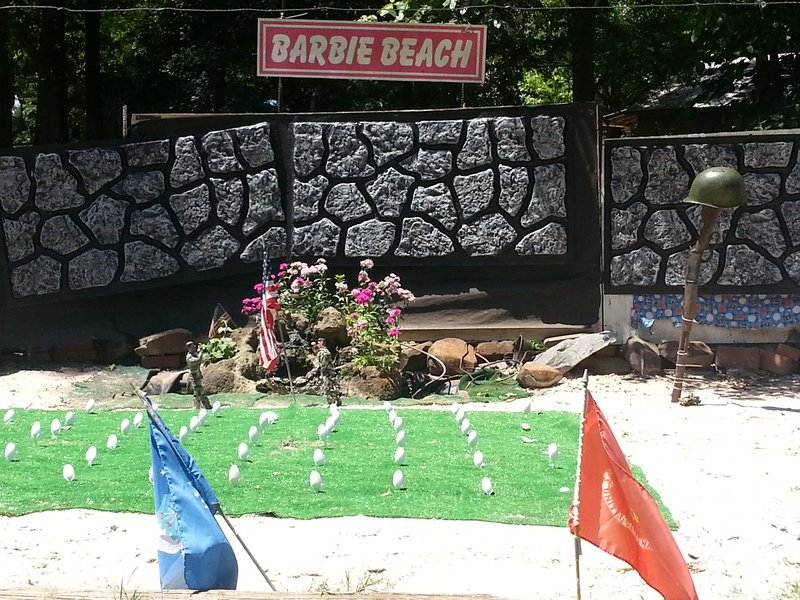 Located in the tiny town of Turin, Georgia the scene at Barbie Beach changes at the whims of its owners. When we were there it was decked out in a rather solemn (and fully clothed) Memorial Day tribute. 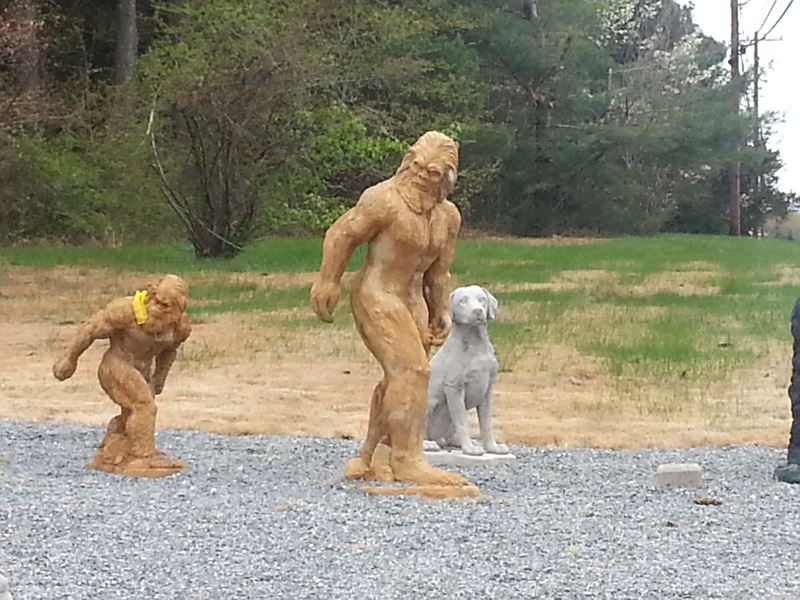 A concrete Bigfoot – really? 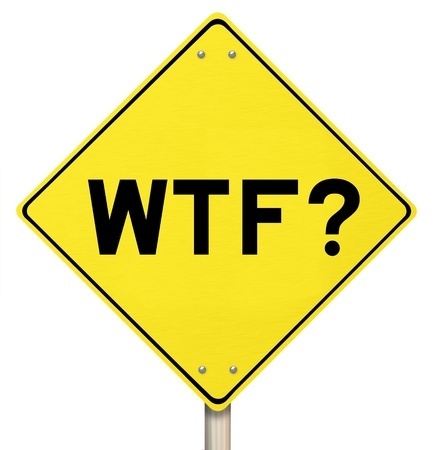 Our most recent weird roadside sighting wasn’t exactly an odd location, but more of a strange product. There are lots of places that sell concrete lawn ornaments, and the stock at most of them is pretty much the same. The one that we stumbled across en route to Mouth of Wilson, Virginia had an unusual selection to say the least! This was the first time that I had ever seen a concrete Bigfoot – or a concrete Yoda for that matter! I already have a few concrete critters decorating my yard and I seriously debated adding Yoda to the collection, but resisted the urge. I’m sure that my neighbors are thankful! I look forward to our future travels and the unusual jewels of Americana waiting to be discovered! What roadside oddities have you discovered? Let me know in the comments, I’m always looking for new sites to explore! This entry was posted in Travel and tagged Americana, Appalachian Trail, Barbie Beach, Bigfoot, Foamhenge, interstate, The Walking Dead, travel, Yoda. Whenever we go somewhere, we head straight to our destination, never veering off course to see what’s around us. You’ve got me wondering now what we’ve been missing. Foamhenge–that’s hilarious. Makes me want to go to Virginia! Thanks for the blog share on Twitter, by the way! We used to travel that way too, Carrie. Fortunately, my hubby has relaxed a bit and now enjoys getting off the beaten path now and again. We both enjoy the strange things that we encounter. Two of the three places that I listed were in Virginia so it might be worth a trip! You are quite welcome for the share! Happy Labor Day!